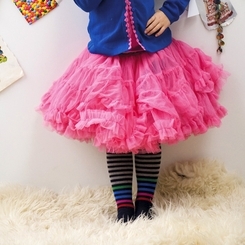 Layers of tulle make up this abundant tutu pettiskirt fit for a princess. Playful striped waist band. 100% net tulle. 100% cotton lining. Imported from Holland.